GEO Semiconductor Inc, which is a leading manufacturer of camera video processors (CVP) for automotive viewing cameras has unveiled what it calls the first automotive smart viewing camera processor. Geo debuted two processors at CES 2018 – the GW5200 and GW5400 CVP’s for next generation automotive cameras. The GW5200 enhances automotive camera video quality while the GW5400 adds in-camera computer vision so that the camera has ADAS functionality. Both processors are designed such that they have low power consumption and are available at a reasonable price so that advanced camera features can be made available in a broader range of vehicles and not just in luxury and premium vehicles. The GW5200 has the capability to process two image sensors simultaneously and supports up to 8 megapixel resolution. It delivers superior video quality thanks to the seamless integration of GEO’s proprietary 5th-generation eWARP geometric processor, multi-stream high dynamic range (HDR) combiner, and next generation image signal processor (ISP). Low-light image quality is enhanced through the use of the ISP’s advanced noise filtering while on-chip combining of up to four exposures extends dynamic range to 145 dB. 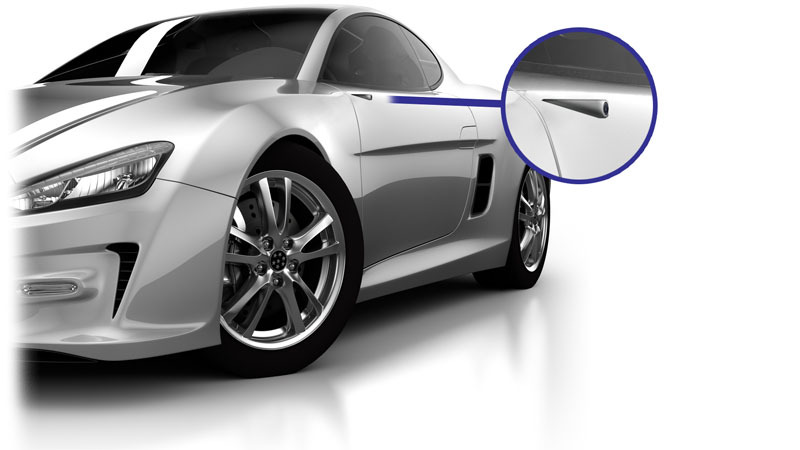 It pairs with the latest automotive image sensors to provide LED flicker mitigation (LFM). The GW5400 is even more advanced than the GW5200’s and incorporates a computer vision processor that has the capacity to run a wide range of vision algorithms. The processor and algorithms enable ADAS functions like object and pedestrian detection, blindspot detection, cross traffic alert, lane departure warning, driver attention monitoring as well as target-less auto calibration (AutoCAL). Using this processor will make it possible for OEMs to integrate safety features into viewing cameras so that drivers are warned of dangerous conditions and can thus improve safety. Dave Orton, GEO CEO said that the GW5 product range represents a significant advance as automotive camera technologies evolve to provide viewing and computer vision applications in a single camera. GEO’s innovations will considerably enhance safety by adding computer vision and ADAS to cheaper automotive camera solutions. GEO is aiming to reinforce its success in the market by enabling smart backup camera, eMirror, Driver Monitoring Systems, and other innovative automotive camera solutions. The GW5200 and GW5400 also come with a versatile vector graphics engine that can render high resolution real-time graphics overlays to make user interfaces more attractive. The GW5 product range includes a built in CAN interface, and has been developed under ISO 26262 ASIL B and is AEC-Q100 Grade2 qualified. The GW5200 and GW5400 are both available in 7mm x 7mm and 10mm x 10mm BGA packages.